Greetings! And welcome to our first-ever edition of Creative Profiles, a new series that will showcase artists and authors within the Zootopia fandom! WOOT WOOT! This will be a new feature on ZNN and will focus on the authors and artists of the fandom who sometimes have been overlooked through all the fantastic pieces that have been drawn and written over the past several years. Most of us have heard of, or know, the more well-known names in the fandom such as Ziegelzeig, Kulkum, ScaraMedn and FoxintheHenhouse, etc. — however, this series will focus on those who have created wonderful creative pieces of their own, with slightly less known names. I stumbled across Hykez87 when searching for new Zootopia artwork and stories on DeviantArt just a few days ago. I spotted a comic labeled simply, “Zootopia Comic”. 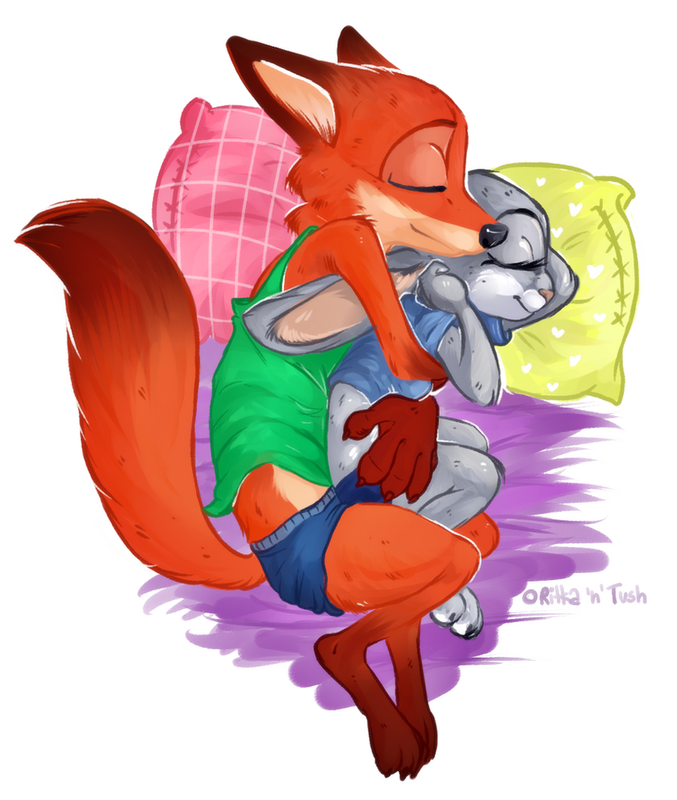 Its relatively simple style of design, bright colors and wonderful dialogue prompted me to investigate the artist further, and upon looking at their gallery, I realized I had found a goldmine, a veritable treasure trove of wonderful Zootopia artwork. Their pieces range from comics, to social media and meme references, to absolutely adorable fluffy moments drawn so adorably as to raise the fluff scale I use for rating, well, fluff. The GIF “Stare and Boop” left me positively giddy, a dorky smile on my face for much of the rest of the day. I won’t embed it here, as you NEED to check it out for yourself. Their artwork may not be as detailed as many other and most of the time contain no background; however, their crisp lines, expressions and general fun-ness of the pictures show that this simplistic style is well suited to how they draw. That and by focusing in on the subjects themselves, I’ve found myself loving these drawings more than if they had backgrounds. It works very well for their style. This artist has also surprised me with how long they have been drawing, with April 2016 being one of the first pieces they did with a tag of Zootopia, a post for the SS WildeHopps. Their artwork has consistently worked on their style over the past few years as well, showing remarkable improvement. Their ongoing comic series, while taking on a challenging subject matter, does so responsibly and in a well thought out way. All in all, this is an artist that everyone should check out. Their artwork is simple yet elegant, their dialogue quite enjoyable to read, their comics well thought out and their fluff off the charts. Folks should check out hykez87 on DeviantArt right away! This is Cimar/WildeHopps, signing off until next time when I’ll bring you another wonderful creative talent within the Zootopia fandom. That’s the TSMS WildeHopps. This is the SS Wildehopps. There’s practically a whole fleet at this point. And plus, I try not to use “SS” on a modern ship unless I have good reason. The prefix “SS” is both cliché and outdated. The only steamship I designed was the SS Stonnie, reasons being how behind the times Stu and Bonnie were. To be fair, given that they now trust Gideon, (My GODS that accent is horrendous) the Stonnie is powered by oil-fired boilers instead of coal-fired boilers. So be it. Every significant day, I’ll post one of these ships to Reddit.